Home » Banking » Central Bank’s Bafflement: Why Patel Resigned? Mumbai, December 11: Urjit Patel’s resignation from the post of Governor of the Reserve Bank of India (RBI), yesterday has raised a lot of questions among millions. Especially keeping in mind the ensuing general elections in 2019.
b) What were the issues on which RBI differed from the central government? c) Who will be the next RBI Governor? We have tried our best to find a probable answer to these questions. Though Patel has cited personal reasons for quitting, given the recent controversies, it is not unreasonable to assume that he quit when the RBI autonomy was facing pressures from the government. It is believed that a particular speech delivered by RBI’s deputy governor Viral Acharya's on October 26, defending the autonomy of the central bank sparked a controversy. It brought to the fore the escalating tension between the government and the organisation, who differed from each other on number of issues including liquidity, credit flow and the controls on governing weak public sector banks (PSBs). In 2018, the RBI and the government developed differences over following major issues that turned into a full-fledged skirmish, which probably could have culminated in Patel's resignation. The spat began between the two, as the government was unhappy with the way in which RBI was not cutting interest rates and even raising them. However, it spilled over into regulation, something the central bank believes is its exclusive domain. What followed was a series of issues related to regulation where both the parties asserted against each other. RBI’s February 12 circular on classification of non-performing assets (NPAs) and norms of loan restructuring was the next flashpoint. The government saw it as overly harsh, and indeed it drove all but two state-run lenders into the red. Around the same time, as the Nirav Modi scam broke out (February 14), the government hit out at RBI on supervision, drawing an almost immediate rebuttal with Patel seeking more powers to oversee PSBs so that they are at par with their private sector peers. The government has been insisting that RBI step in to provide relief to non-banking finance companies (NBFCs), which are grappling with a cash crunch after IL&FS defaulted on repayments. The central bank refused to play ball. 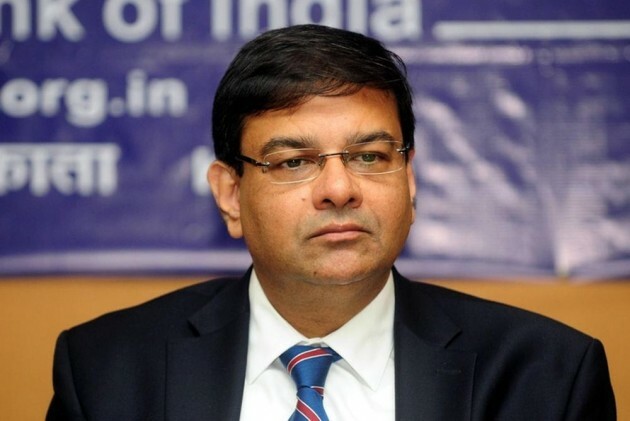 In September this year, Nachiket Mor was removed from the RBI board two years before his term ended, without any information to the RBI Governor. This irked the central bank brass. His removal was seen to be linked to his vocal opposition to the government's demand for a higher dividend. A separate payments regulator has been another friction point with RBI stating its position publicly on why it did not support the move. In fact, it went to the extent of releasing its dissent note on a separate regulator on its website. There were differences among both over the issue of extending advances to the small and medium enterprises (SMEs). The RBI was of the opinion that extending loans to this sector may add to problems of PSBs who are already reeling under huge problem of NPAs from India’s corporate sector. The center’s finances were under severe strain following slow down in the economy post demonetisation. The revenue from the recently introduced GST was taking some time to pick up the pace, at the same time centre could not mop up the requisite financial resources through disinvestment of public sector units. To bridge these gaps center had asked for higher dividend from RBI. The RBI had collected a free reserve of around Rs 9.5 lakh crore over a period of several years. The government wanted roughly a third of it, around Rs 3-3.5 lakh crore, to fund its various popular schemes including the much talked about Ayushman Bharat. RBI refused to toe the government line by terming these reserves as the contingency reserve. Although the government later took a U-turn and said, it never wanted to make use of these funds. However, because of these differences of opinions listed above and others, which may not have come in the public domain, the relation between the government and the central bank were strained. How tactfully the government resolves this impasse that needs to be watched carefully. Already scores of names have been taking the rounds for the post of new RBI Governor. These include Rajeev Kumar, vice chairperson Niti Aayog, Surjit Bhalla, a well-known economist and a couple of senior finmin officials including Shaktikant Das and Subhash Chandra Garg. Besides these, there are four deputy Governors namely NS Vishwanathan, Viral V Acharya, BP Kanungo and Mahesh Kumar Jain. Of these, NS Vishwanathan may be given the interim responsibility of the RBI Governorship, till the government finds the suitable replacement.